If there’s one beauty product I’ve seen blow up over the past year, it’s the jade roller. What started as an ancient beauty practice in Traditional Chinese Medicine is now a ubiquitous skin-care tool, proliferating on beauty shelves and Instagram feeds at an exponential rate. And there are no signs of the trend (ahem) rolling to a stop any time soon. Not only does it feel delightful on the skin, but jade rolling has major skin-boosting perks: de-puffing, stirring up blood circulation, and promoting the all-important lymphatic drainage. But! As everyone’s rolling as though their glowy skin depends on it, a question comes to mind: Should you be…washing your tool? Your skin’s an oil-producing, pollution-catching organ that’s exposed to a lot, after all. As I suspected, the answer is yes. 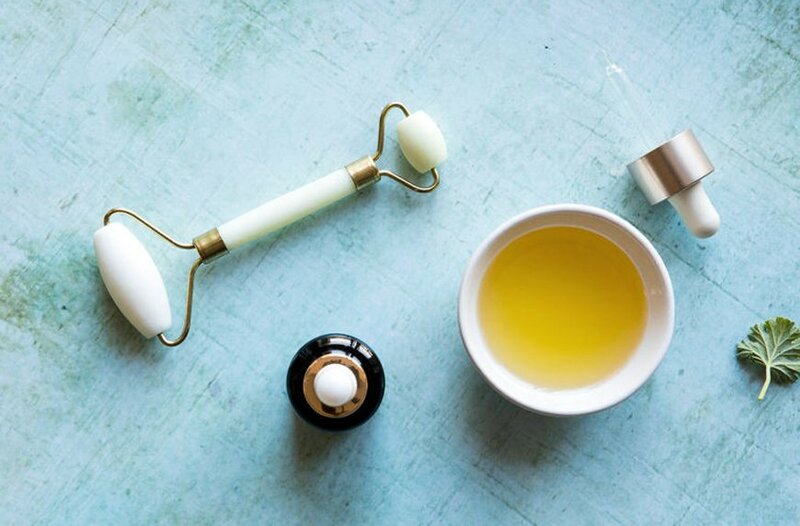 “Jade rollers are delicate—use them with care and light pressure,” says Julie Clark, holistic esthetician, aromatherapist, and founder of beauty brand Province Apothecary. “I recommend wiping them down after each use.” She notes that residual dust particles can gather on the tools—plus, you don’t want to spread any bacteria back onto your skin. To do so, she recommends simply washing with a gentle soap and patting dry. Be sure to store it in a moderate climate: “Don’t expose jade rollers to extreme temperature changes as you may risk breaking them,” says Clark, (an important note if you like to keep yours in the fridge for extra de-puffing action). So treat your roller basically the same as you do with a makeup brush (and just try not to neglect it). By the way, you can de-puff your eyes with this jade eye mask—it’s divine. And here are some gemstones for your skin-care routine.